The usage of the printers has become one part of our life due to the increasing of digital, online platform. No matter is for school assignment, office documentation, presentation proposal, finance statement, we are depend on printouts. And Not all printers are created equal, though. The range of 13 printers and MFCs provide effortless user experience, improved performance and quality with an emphasis on functional aesthetics for products that look great and work even better. I must admit Brother's printer is the first choice when come to printing business. Top-class printing speeds, enhanced mobile connectivity and cost-saving features in space-saving designs provide enhanced user experience and practicality that fits every need. 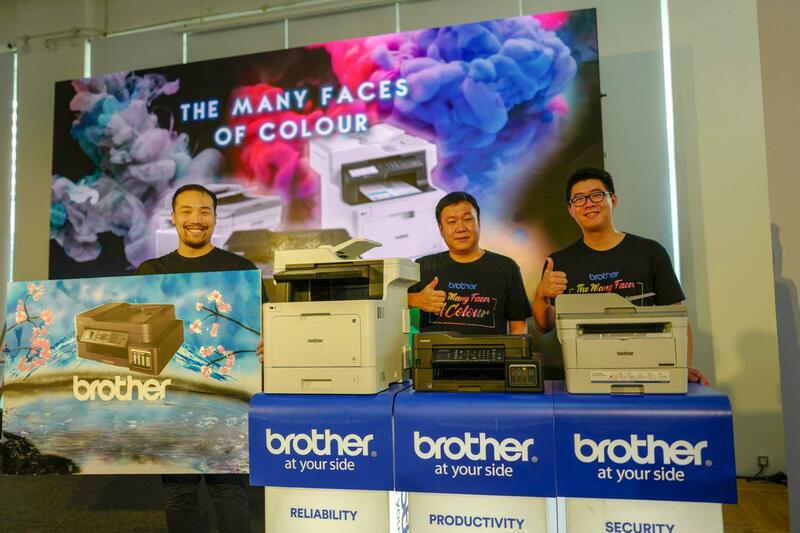 From corporate workgroups, large or small retail outlets, small and medium sized businesses, small office/home office for students or at home, there is a Brother printing solution that will delight. The new line of Brother printers and MFCs are works of art in their outlook and performance, and in the crisp clarity of output they create. Fittingly the launch was held at the White Box Art Gallery where the beauty of these products, and their exceptional print quality could be viewed, tested and appreciated. And guests can experience the quality of the printout on that day. Brother is a leader in the development and manufacturing of technologies in the printing, communication and digital imaging industries for homes, SOHOs and enterprises who demand solutions that empower businesses and individuals to communicate ideas in every possible way. A trusted brand worldwide that believes in the “Customer First” approach in all aspect of their business, Brother has continuously met the varied needs of their customers through their comprehensive range of quality printing solutions. Brother regional South East Asia headquarters, with fully integrated sales, marketing and services capabilities is located in Singapore. For more information on Brother International Singapore and its products, please call +603 7884 9999 or visit www.brother.com.my. Brother will always be “At Your Side” now and into the future.